Handmade worry bead, made of carved camel bone stones. 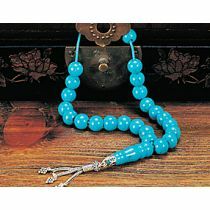 All beads are of excellent quality and authentic beauty. A unique aesthetic accessory you should not miss! Worry bead, made of 33 carved camel bone stone and a wooden finish. 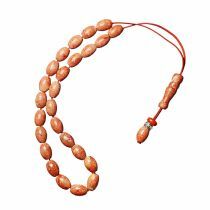 The worry bead is hand-carved by masterful artisans and all the beads are of excellent quality and authentic beauty. A unique aesthetic accessory you should not miss!